UPDATE: Around 7:30 a.m. Wednesday, the Palm Beach County Sheriff’s office announcedthat Tatiana had been found safe. 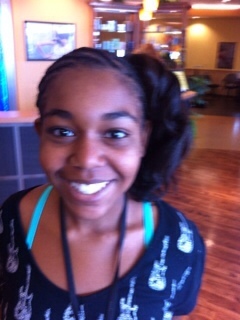 Tatiana Huffman, 12, is missing from Lake Worth Florida. She was last seen on Tuesday, February 28 around 5:40 p.m. on 329 South M Street in Lake Worth, Florida. She has not been seen since. Tatiana is mentally disabled and is mentally around the age of 5. She is 5’0″ tall, 15 pounds with black hair and brown eyes. She was wearing a pink and black zebra print shirt, black leggings and green sandals. If you see her, please contact the police at 561-688-3400.